Part 27 of my series of Kiss reviews, leading up to the release of Monster! 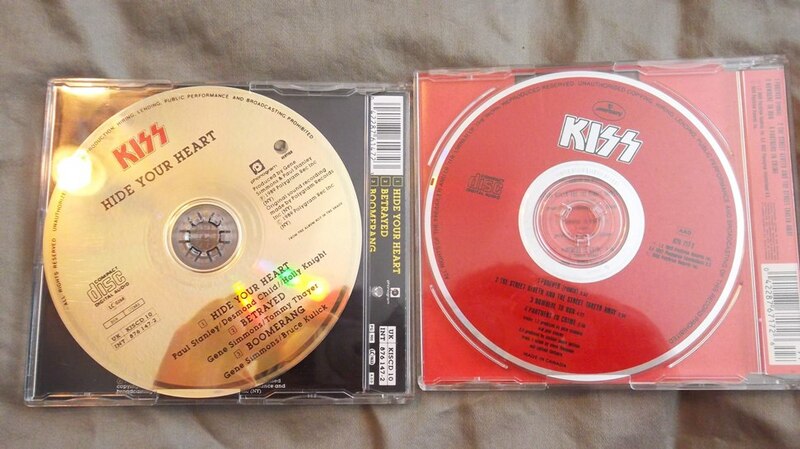 When we last met, I was bitching about Kiss going pop and losing sight of its roots. Hot In the Shade represents the first tentative steps back in the right direction. It wasn’t a home run, but it did at least get a runner on base. Paul Stanley confronted Gene Simmons about his lack of participation in Kiss. Gene agreed with Paul’s diagnosis and was back on board creatively. Paul Stanley had completed a small solo club tour with Eric Singer, playing a lot of Kiss’ old music. Kiss knew they had to get back to rock and roll, so Hot In the Shade represents a scattershot approach: try anything, and see what works. You’ll hear things as diverse as horn sections (“Cadillac Dreams”), female backing vocals (“Silver Spoon”), acoustic slide guitar (“Rise To It”) and speed metal (“Boomerang”). 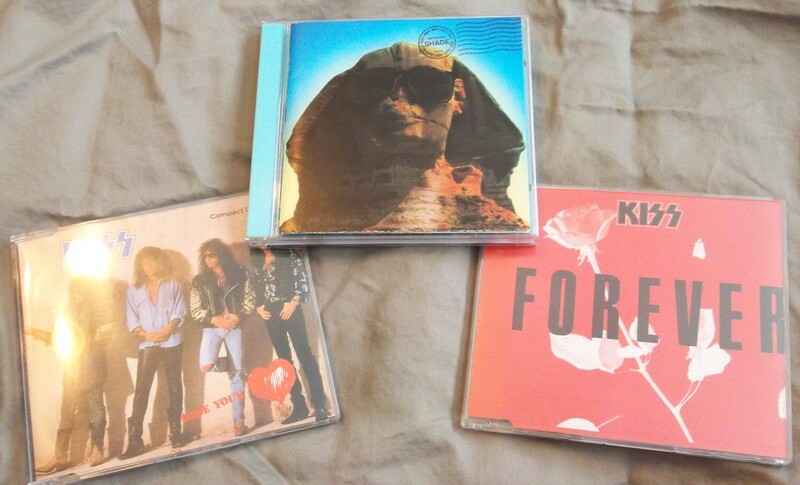 All things rooted in rock, but not necessarily from the roots of Kiss. It was with baited breath that I awaited the debut of the forthcoming new Kiss video on MuchMusic. Would they finally get back to rock, and drop the keyboards and the dancing? I remember buying the cassette tape on a school field trip in grade 12, and listening to it on a Walkman in the bus. The first sounds I heard were Paul Stanley’s* bluesy slide licks as the intro to “Rise To It”. A positive start. Then, the band kicked in, and “Rise To It” really impressed me. The drums courtesy of Eric Carr were loud and clear, the song a little heavier than previous Kiss tunes, and Bruce was wailing. 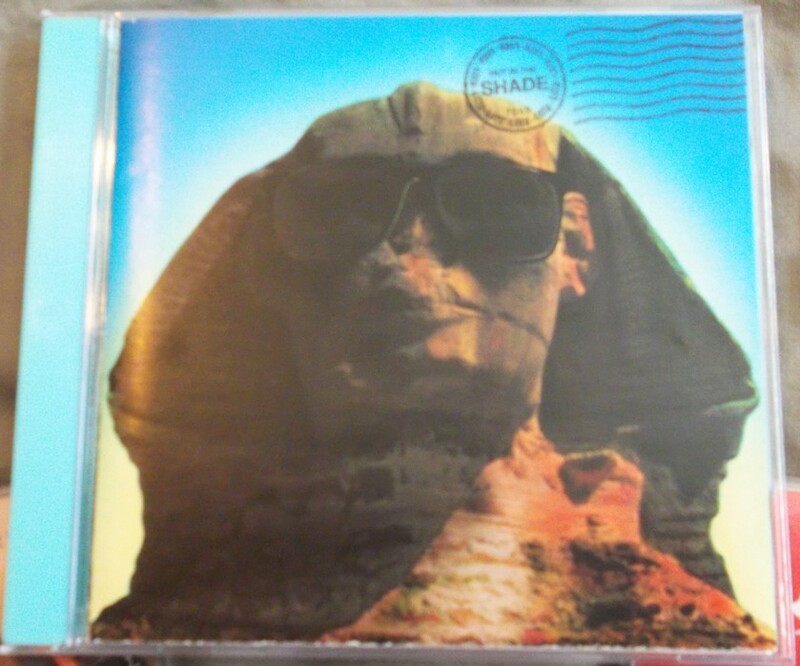 I opened up the J-card and read the liner notes. I was surprised to see that Vini Poncia, the producer who did the Kiss disco albums, was back as a songwriting partner with Gene and Paul. I also saw that Tommy Thayer of Black N Blue co-wrote two songs with Gene (“Betrayed” and “The Street Giveth”). 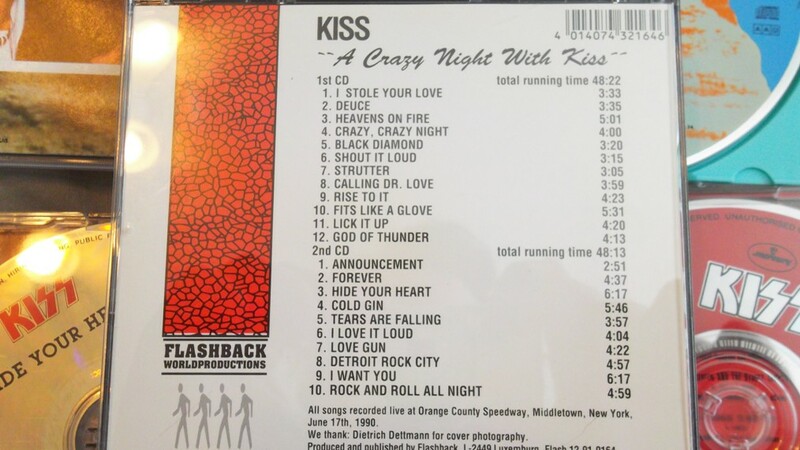 This was only Tommy’s first writing credit with Kiss. There would be many more. 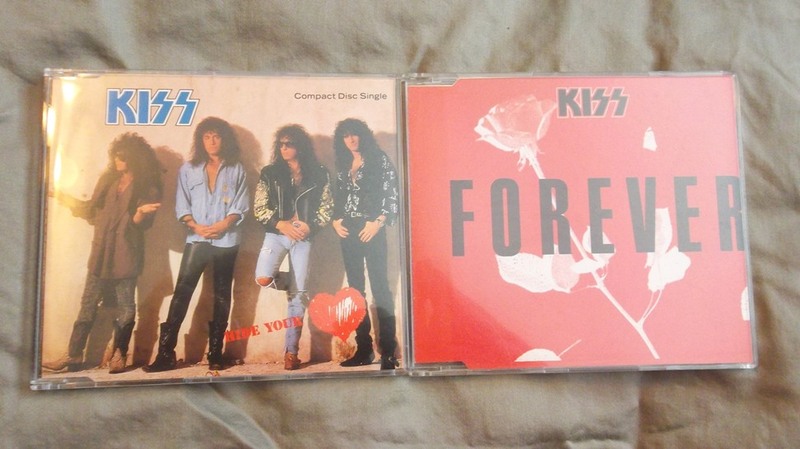 I also saw a song written by Paul and Michael Bolton called “Forever”…uh oh, that couldn’t be a good thing. But it wasn’t bad. “Forever” was an acoustic ballad at least, with only minor texture keyboards in the background. Bruce nailed an absolutely perfect acoustic guitar solo, the kind you can hum the melody to. I still relish Eric Carr’s drumming on it, which is unusually hard hitting for a ballad. Moving along, I finally I got to the song that Eric co-wrote, called “Little Caesar” which struck me as an odd title. It took a few seconds, but I realized that Eric was singing it too! Finally, a proper original Eric Carr lead vocal. I always felt that Kiss needed to incorporate Eric Carr more in lead vocals, and his version of “Beth” from the previous album was a crappy way to give him his first . “Boomerang” was and probably still is the fastest song that Kiss has ever done. It’s obvious Kiss were trying to emulate speed metal, which was starting to happen at the time. It wasn’t a great song, but I was impressed that Kiss really were shedding the pop that we all hated so much. 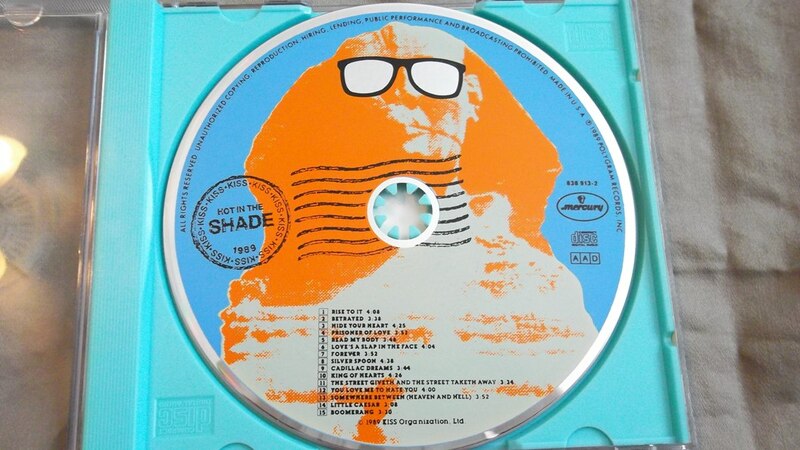 In hindsight, Hot In the Shade breaks down to three good-to-great songs: the singles “Hide Your Heart”, “Forever”, and “Rise To It”. “Little Caesar” is also pretty good, but not up to the standards of the singles. Other songs such as “King of Hearts” have interesting parts or catchy bits, but by and large are filler. Others, like “You Love Me to Hate You” and “The Street Giveth, the Street Taketh Away” are undeniably filler. Hot In the Shade was bulked out at 15 songs, but probably could have been fine with just 9, like a classic Kiss LP from the 70’s. As it stands, it’s pretty hard to make it through the whole thing in one sitting.Kiss get an “A” for effort most certainly. The ship had been drifting for a little while and this album was turning the ship back around. 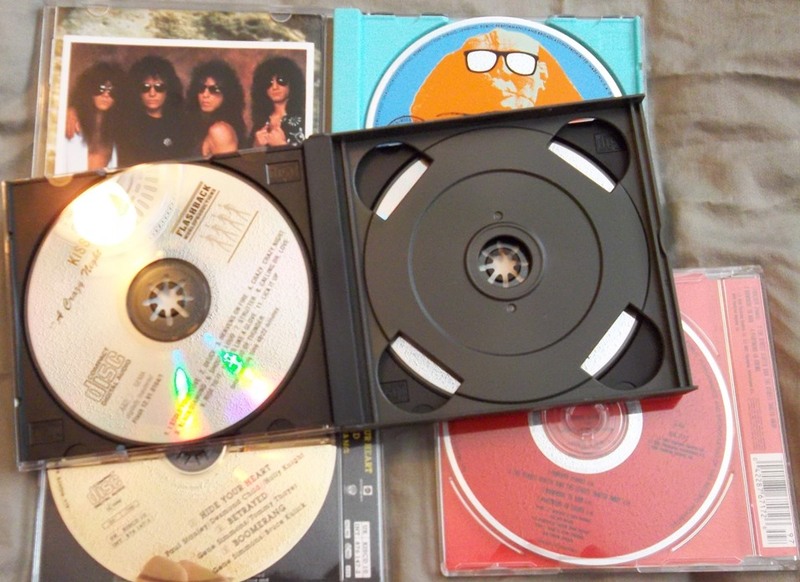 They gave extra value with the length of the album, like it or lump it, and tried many different directions, which were at least rock-based. 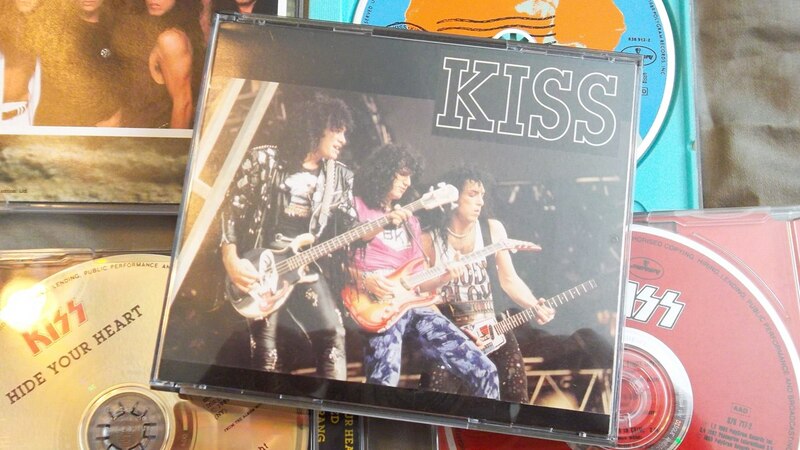 Kiss also self-produced this time, and ended up using polished demos for much of the album. As such it seems to have a flat sound, and Bruce Kulick’s guitar sound lacks warmth. It would have been nice if they spent more time on the sound. Sadly, Eric Carr would not live long enough to see the good ship Kiss right itself on Revenge. He passed away from cancer in November 1991. Incidentally, Kiss put off touring behind this album until 1990, as they were reportedly trying to work on a reunion with Ace Frehley! No deals were reached and all that happened was a Paul-and-Gene-in-makeup cameo in the “Rise To It” vid. *Confirmed by Bruce Kulick, that’s Paul Stanley on the slide. Bruce is playing acoustic (most likely a resonator) guitar with a slide on “Rise To It”. Although cool to think they’d use one, its not a pedal steel (or even lap steel for that matter). Thank you for the musical knowledge, friend! I will edit the article. Hot In The Shade ia an album made of demos. They never got around to properly record it because Kiss were more or less broke around this time. That’s why Stanley & Simmons stands as the producers. Eric Carr is hardly on this album at all, everything is made by drum machine. Sad! However, although this album is a confused effort, it once again shows that Paul could write some really good stuff (people generally seem to hate Read My Body, but I have always liked it. Maybe there’s something wrong with me…) and Gene just took any old crap demo and put it on here. Hide Your Heart was originally written for Crazy Nights but that idiot Nevison left it off the album. Apparantly, Bang Bang You was a better track…. Too bad this album was the last Eric Carr did with Kiss. A lojal member of the band as Eric should have had a better swan song. So sad he never made it to play on Revenge. Hot in the Shade should probably have never come out in the form that it did. They should have recorded it with a producer, picked the best 11 songs, and put it out. Having said that Forever and Hide Your Heart have definitely stood the test of time!